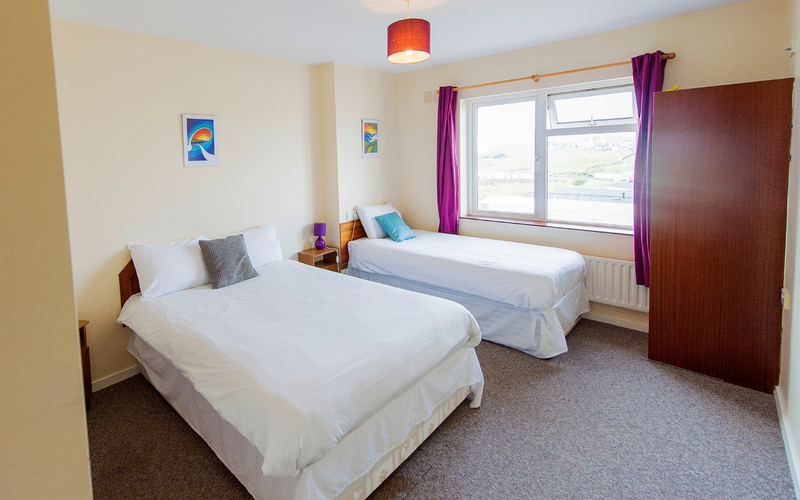 Room contains 2 beds suitable for 2 individuals or 1 couple and 1 child. 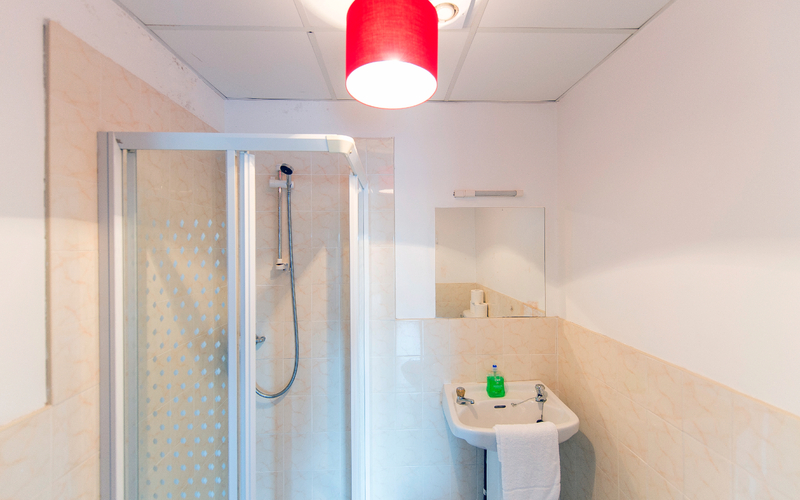 Private bathroom and shower in room. Surf shower also available with hot water throughout the day. 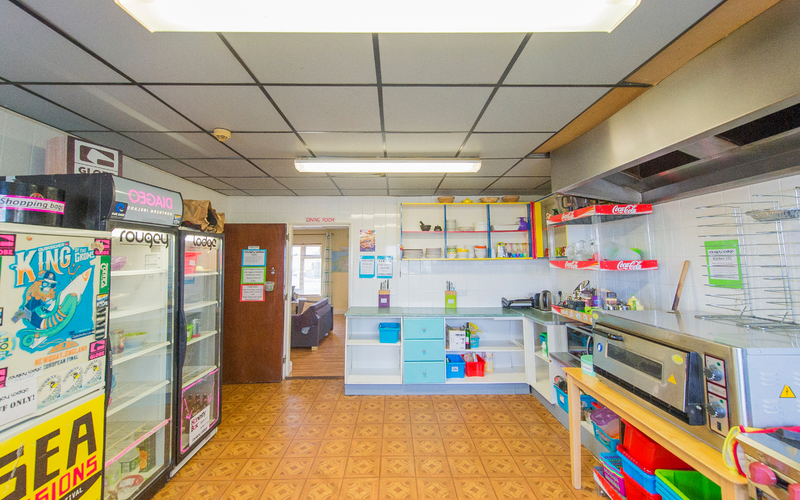 Fully equipped guest kitchen with large gas cooker, pizza oven, microwave, prep/ storage areas, multiple fridges, dining Area and free tea and coffee all day. We provide you with a healthy continental breakfast each morning to set you up for the day, with juice, cereals, toast, freshly brewed coffee and tea. Rougey Lodge is ideally located close to the beaches and also to the town centre. Many of the rooms offer views of the main beach. 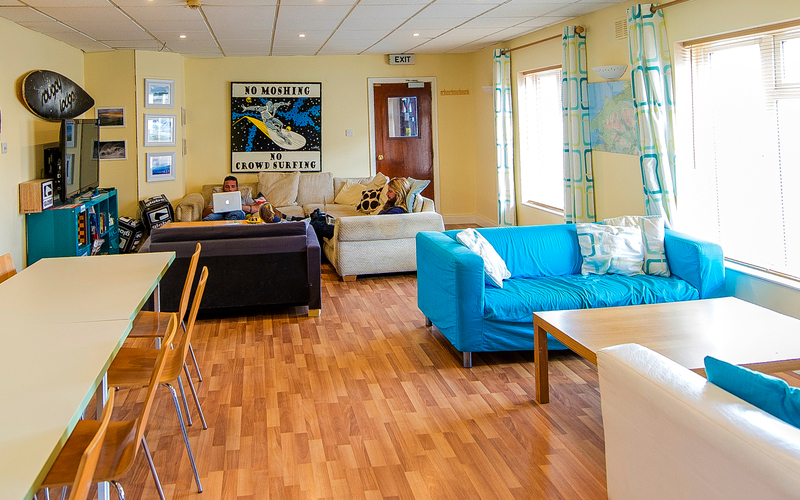 We also offer free internet access and wireless broadband. You will find the lodge is a perfect place to chill out after surfing. 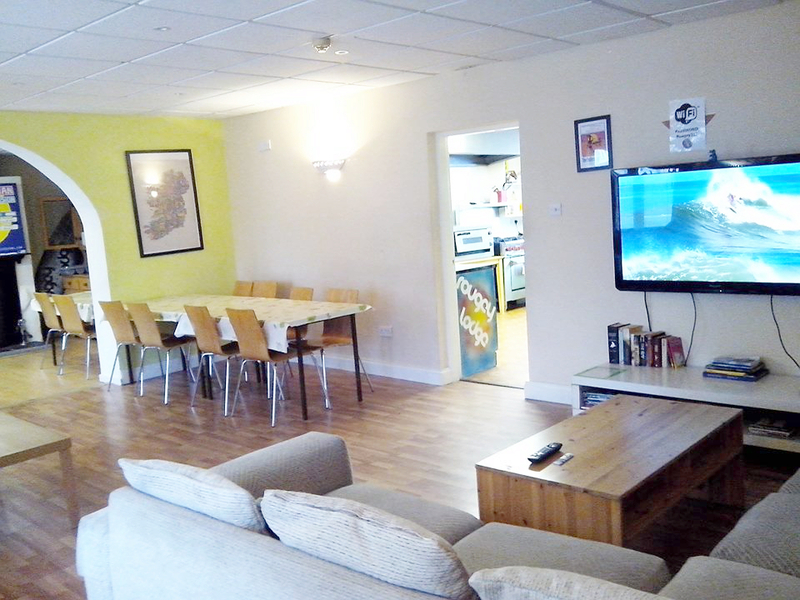 There is a spacious lounge area with wide screen TV, DVD player and X-Box and movie library. There is private parking at the back of the building and plenty of storage space for boards, and a drying room for wetsuits. 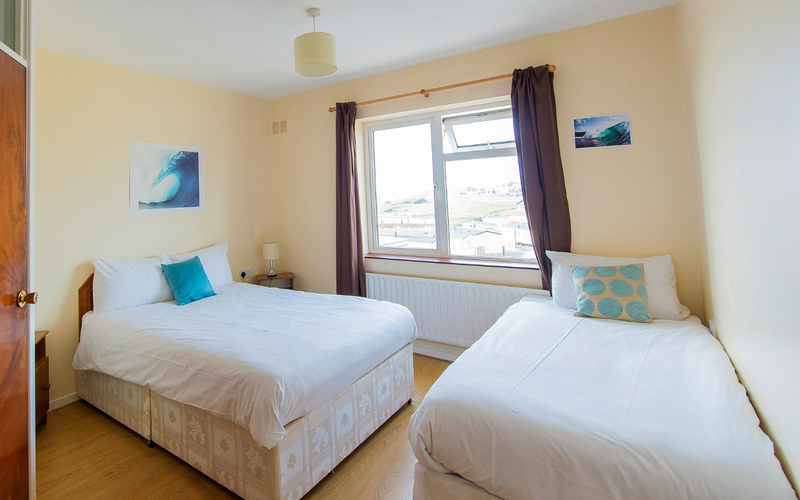 Rougey Lodge is run by local surfers so you will be able to get all the details you need on where and when to surf in Bundoran. Our opening hour are 8am until 11pm 7 days a week. Check in times outside of these hours must be arranged prior to arrival.